Don Steele, 82, of Carmel, passed away at home early Wednesday November 30, 2016. He was a graduate of Lawrence Central High School and Purdue University. Don worked for Spaulding Fiber Co. before co-founding Industrial Dielectrics, Inc. He served as IDI's Vice President until he retired at the age of 62. After retirement, he continued as a manufacturer's representative to Aurora Technologies, Inc. While at Purdue, Don was in the university's ROTC program and then joined the United States Army after graduating. He was in the service two years, retiring as a First Lieutenant and Army ping-pong champion. 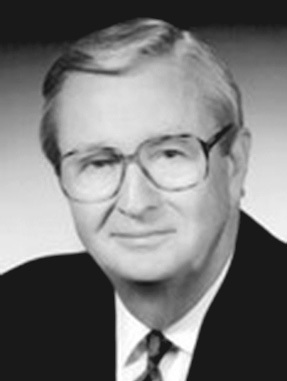 Don was an active member of St. Luke's United Methodist Church and served on the endowment committee. He was also on the board of The Society for Biblical Studies and volunteered at the Fletcher Place Community Center and Meals on Wheels. Don was a Past President at Highland Golf & Country Club, where he was an avid golfer and gin rummy player. He enjoyed traveling, having visited 38 countries on six continents, which fueled his love of scouting restaurants in new places. He also loved auto racing and attended 69 Indianapolis 500 races, including the 100th running in May. Don especially loved spending time with his family and friends, and he took them to races every year. Some of his favorite times were spent with loved ones during Sunday night dinners. Don was preceded in death by his parents, Dorothy Gray Steele and William Kenneth Steele, and his aunt, Thelma Irwin. Don is survived by his children, Beth (Tom) Gehlhausen and Kathy (Jeff) Hudson, and their mother, JoEtta Sanich, as well as children, Debra (Jeff) Peek and Murray (Sarah) Smith, and their mother Sharon Murray Steele, his current wife of 39 years. He is also survived by eight grandchildren: Laura, Steven, Brandon, Cody, Lillie, Carlie, Cole, Laynie. Special thanks to loving friend and caregiver, Koko Mays. St. Luke's UMC will host a visitation Sunday, December 4, from 1 to 3 p.m. with a memorial service to follow. A celebration of life party will be at 4:30 p.m. at the Lucas Estate at 1143 W. 116th Street in Carmel, Ind. His ashes will be entombed at the Field of Valor at Crown Hill Cemetery. In lieu of flowers, contributions can be made to Wounded Warriors, or St. Luke's UMC in support of the Fletcher Place breakfast program.